other information NicGaviskey NIC001CD, 2010. 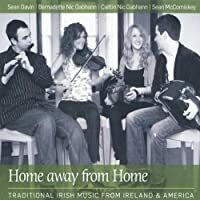 Recorded in Beltsville, Maryland, USA; Miltown Malbay, Co. Clare; An Bhráid, Co. Donegal; and Chicago, Illinois, USA. Released on 26 July 2010 according to the NicGaviskey Twitter feed, with launch events beginning in August 2010.